Yet it feels as fresh and exhilarating as the first time you swung your shotgun towards the skies. No matter the day’s result, this is reward enough. These moments are what bring you back season after season. A respect for nature, harmony, and heritage are the hallmarks of the Beretta Upland sportsman. 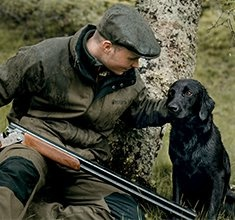 Hallmarks that are reflected in Beretta’s superb collection of fine shotguns perfectly suited for their purpose in the field, superior upland apparel designed to meet the challenges of nature, and accessories that perfectly complement your passion and pursuit.